cheesynz: Blogging Whadda Ya Know? 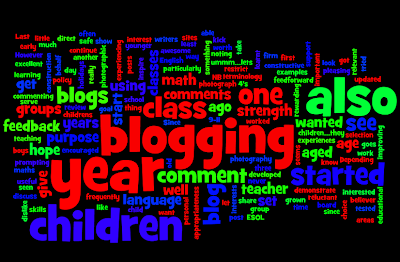 I started blogging myself a year ago but have started with children in my class three years ago. The first year with year 5 and 6 children [aged 9-11 years old] did not really take off but each year since then it has grown from strength to strength. I am a firm believer in the teacher not 'doing it' for them. So I did not want a blog that I updated with work on their behalf. I wanted them to be doing it. I have learnt that experiencing other blogs relevant to my classes is the way to get them 'on board' early one. I often start with a selection of blogs that I have seen from other classes and children...they look at them, comment on them and discuss what they like or dislike and what purpose they serve in groups. This seems to kick start their interest in blogging. It's also worth noting that I frequently review blogging and commenting, particularly the appropriateness of comments and how to give constructive feedback. Depending on the age of children, it is useful to demonstrate or show excellent examples of comments to inspire them. However, it is also important to comment on their posts yourself as their teacher and give them feedback and feedforward. It has been very rewarding to see how much the boys have got into blogging as well - I never restrict their choice of post - if the child is interested in something let them be is my policy. This has encouraged reluctant writers to get into it and share their interests and experiences. It's also worked well with ESOL children improving their English language skills. I also developed a maths blog to support my childrens learning in math groups - with tried and tested sites that I know are both safe and educational that I can direct them too in set math areas. Since then I have started a language one also for the same purpose NB both are under construction. Last year it was awesome to have children that wanted their own blogs after using our class one and so pleasing to see them blogging in their own time after school and in the holidays with very little prompting from me. We attached their blogs to our blogroll alongside the blogs that we follow regularly so the children can locate them all easily. 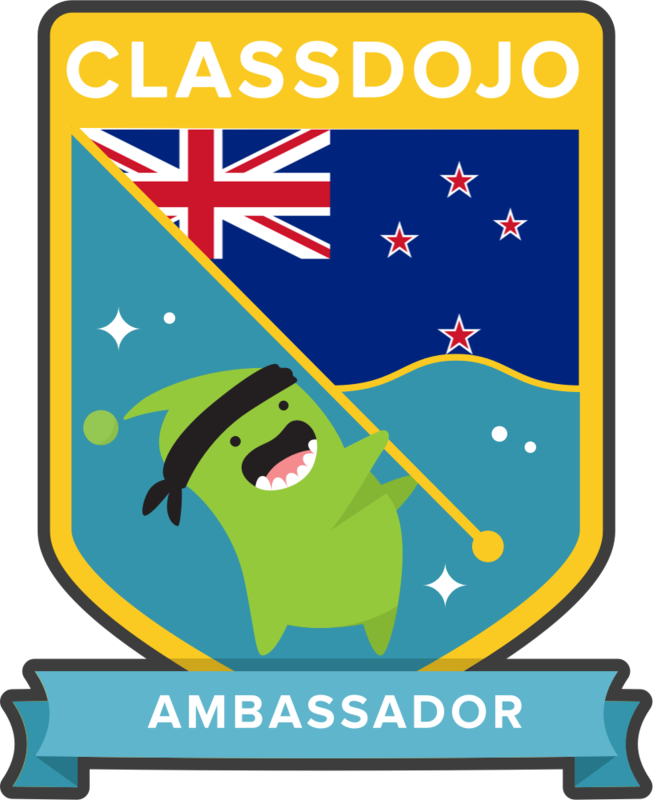 This year my class blogging will continue with a younger age group [ummm...lets see how that goes] as I am teaching year 4's aged 8 and 9. I have also set myself a personal goal to photograph at least one thing a day [and my class also I hope] so I have started a photography blog too which I hope the children will be able to comment on using photographic terminology. I liked your ideas about blogging with students as I only just started blogging myself this past September and we are now adding student blogs. I agree that is a good idea to let students run with their passions and what they would like to write about. I have a class blog The Space Between and a new blog for the teacher's challenge. Thanks for sharing this post for the challenge. 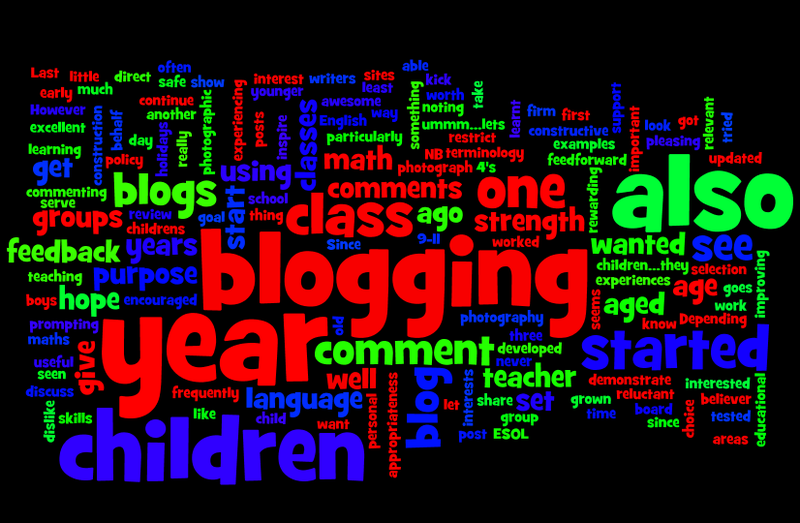 It is great to see how blogging has progressed with your classes and that you have developed a maths blog. I started with a class blog and then individual student blogs. Blogging has so many powerful outcomes. All the best with your goals for 2011 and I hope that you will continue with further challenge activities. You are a great inspiration - keep blogging!